MemTech’s Void Vent 25 offers a passive venting solution which facilitates the dispersal and dilution of dangerous gases. MemTech’s Void Vent 25 has been specially designed to provide for high levels of air and/or gas flow. MemTech’s Void Vent 25 is incomparable for its protection against dangerous gases and chemicals. Optimised for maximum strength and performance. MemTech Void Vent 25 is a cuspated HDPE (High Density Polyethylene) membrane with a geotextile filter/separator. 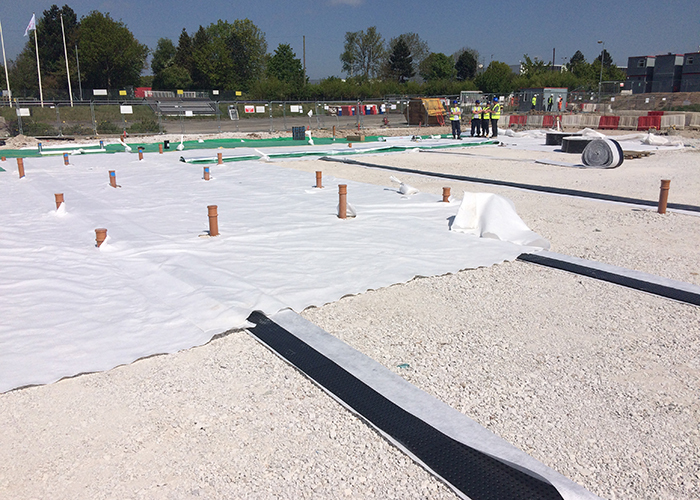 Void Vent 25 has been designed to be installed with the geotextile filter side of the product to be in contact with the ground to allow for air and/or gas flow. Void Vent 25 is available in either a 25mm or 40mm depth.